The Sangat Island Dive Resort started operation back in 1994 and still offers outstanding services according to many great reviews. Located in the Coron area, province of Palawan in the Philippines, the resort takes a fair chunk of the Sangat island’s coast. Indeed, the eco-friendly and native-styled resort features 300 meters of white sand beach. 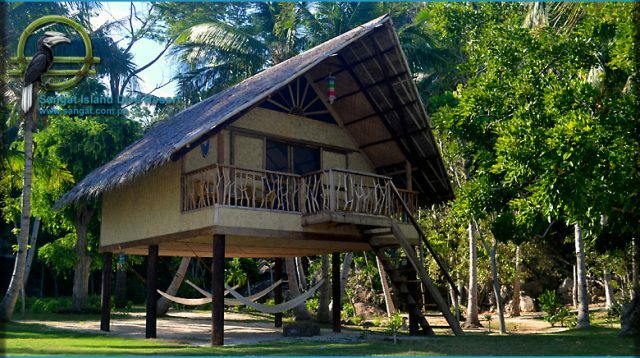 The accommodation offered at Sangat Island Dive Resort range from beach front cottages to chalets and villas. The particularity of this resort is definitely that it’s solar powered and offers native-style accommodation. Indeed, the Sangat Island resort proudly boasts to have been built following native techniques and using all natural material such as bamboo and Nipa palms. Sangat Island’s resort offers accommodations with western bathroom facilities and standard electrical plugs, despite the native look of the resort. Plus, the rooms and chalets are well ventilated with ceiling fans, and windows have mosquito nets. The Sangat Island Dive Resort is located on a private stretch of beach on Sangat Island, just of Coron, Palawan. You will find a nice, white sand beach along the resort’s grounds with many islet and limestone cliffs in the background. The resort includes a restaurant and a bar in a beautiful set up. The meals are varied, some served buffet-style and can we taken in combo with a stay at the resort. The activities available nearby are part of this resort’s unique environment. Indeed, from water sports to nature trekkings and wildlife observation, you’ll find it all at the Sangat Island resort. The resort displays a complete dive center which was rebuilt in 2018. Indeed, that’s were you will find all the information and equipment to set up for an incredible underwater adventure in the Philippines. 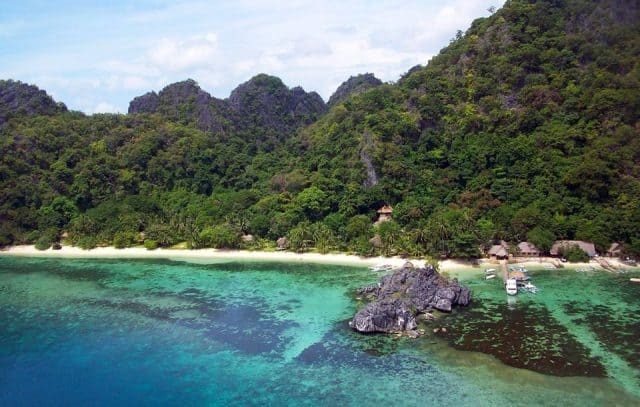 Plus, the resort being located in the Palawan Province, it gives you access to some of the best diving sites that are otherwise only reached by Philippines diving liveaboard cruises. Moreover, you can rent diving or snorkeling equipment from the dive center as well as sign-up for PADI diving courses. 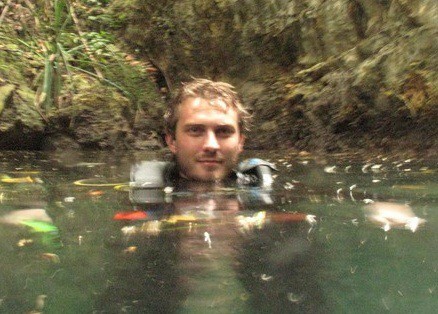 In fact, there’s all kind of top brand equipment available such as wet suits, masks, fins and dive computers. Also, nitrox filings are available and powered by a dual BAUER K14 compressor. Published price starts at 115$US/night for a hill-side chalet. 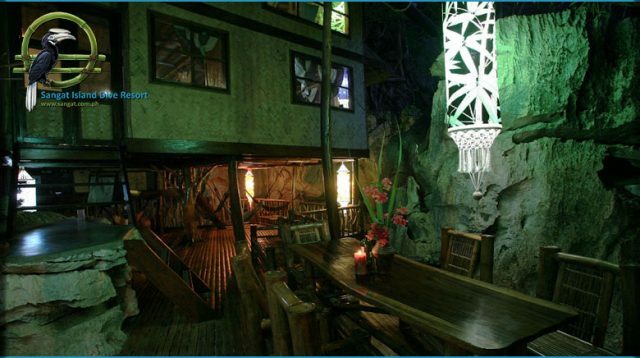 If you have been staying at this dive resort in Coron, Palawan & Philippines, please share your review and let us know what you thought. Please post your comments in the review section below, by doing so you will help fellow divers to plan their next diving trip . 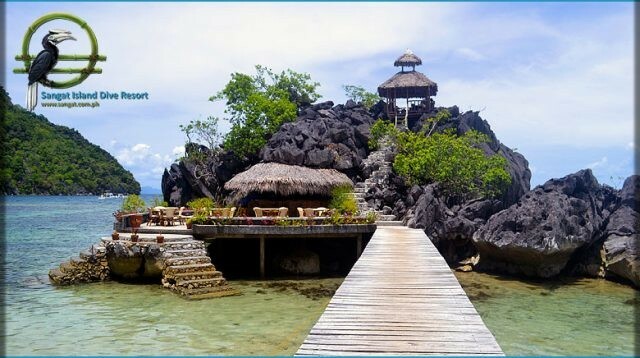 Nestled in the Palawan province of the Philippines, the Sangat Island Dive Resort is a paradise for the environment friendly divers.